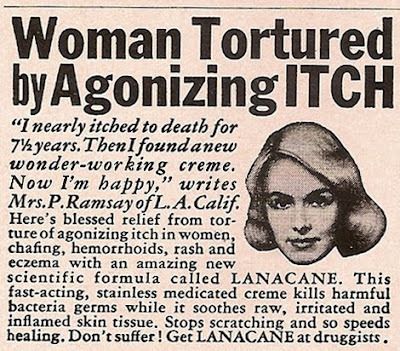 I love advertising copy that doesn't beat around the bush! Did I just say that? Pun intended! 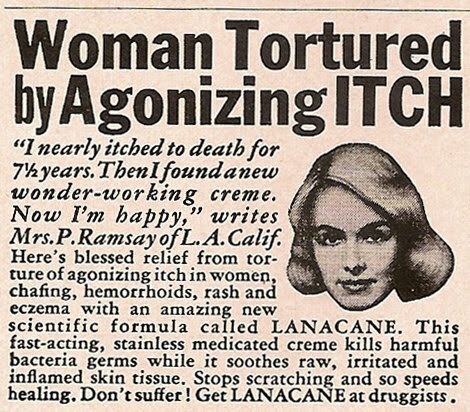 And the best thing about this copy - it rhymes! 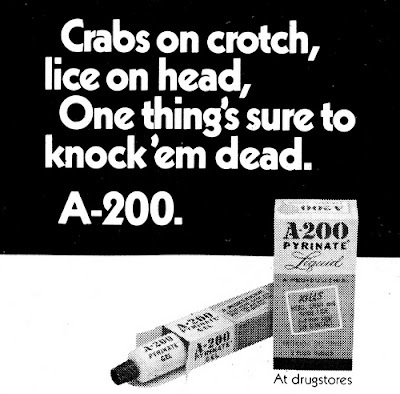 I believe this came from a 70s music magazine....because nothing personifies the decade like a creepy crawly STD. 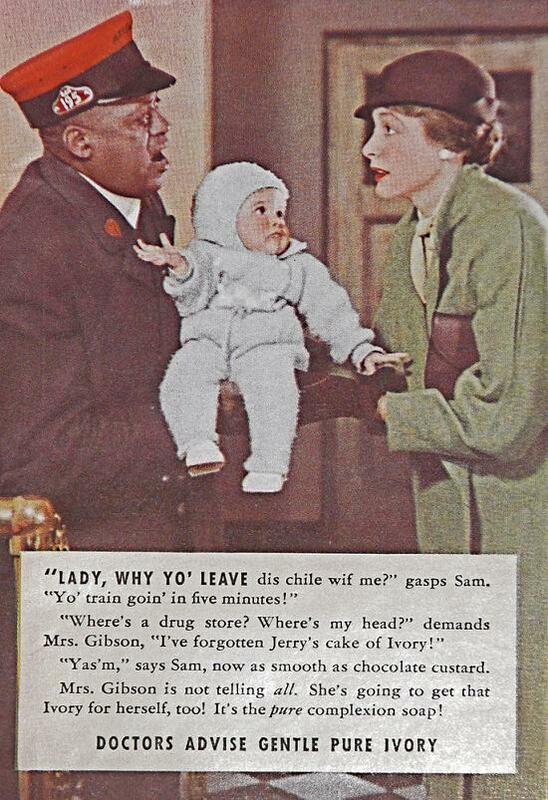 This third ad comes courtesy of a hilarious blog called Vintage Child Abuse. 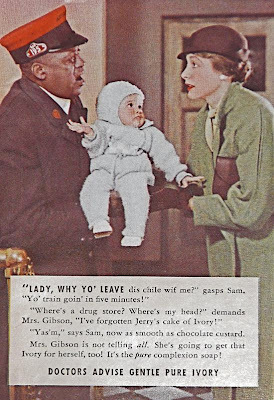 It's just so hard to believe in today's day and age that an ad could get away with being this racist and outrageous...plus it appears the mother is abandoning her baby due to forgetfulness? Neither of which is relevant to the product it's pushing, Ivory soap. Oh my goodness, Pam - those are amazing! I am going to RT this post post haste - too good not to share! Please do, Lidian...and Amanda I was nearly rendered speechless, too! HA! Oh Pam... some weekend, maybe in the winter.. I need to lock myself indoors and comb through all of your archives. I love your Advertising stuff! I mean.. all of your topics are great, but I really dig seeing this old stuff, and reading your thoughts about them. Good stuff girlie!! I seriously laughed out loud at that first ad!!! Those ad people should be ashamed of themselves. It's just not fair to the people who have crabs to write a cutesy little rhyme about it. Dear God. Speechless on that last one. The first two--flipping hilarious!